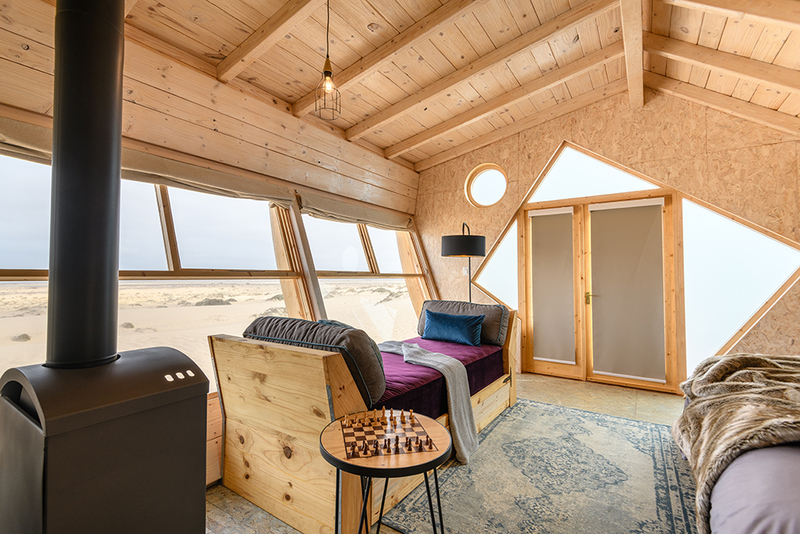 Shipwreck lodge is located in the famous Skeleton Coast Central Concession between the Hoarusib and Hoanib Rivers in the Skeleton Coast Park, only 45 km north of Möwe Bay. 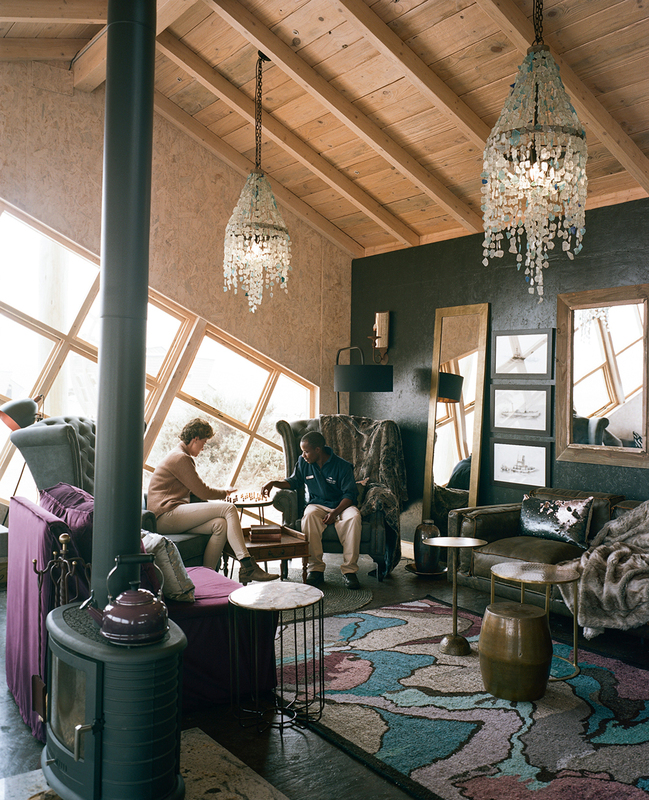 The lodge is situated on the southern bank of the Huarusib River Mouth, nestled between the dunes with a view of the Atlantic Ocean where the cold Benguela current pushes a refreshing breeze over the shipwreck shaped cabins. The size of the concession area is approximately 146,600 hectares situated in North Western Namibia. 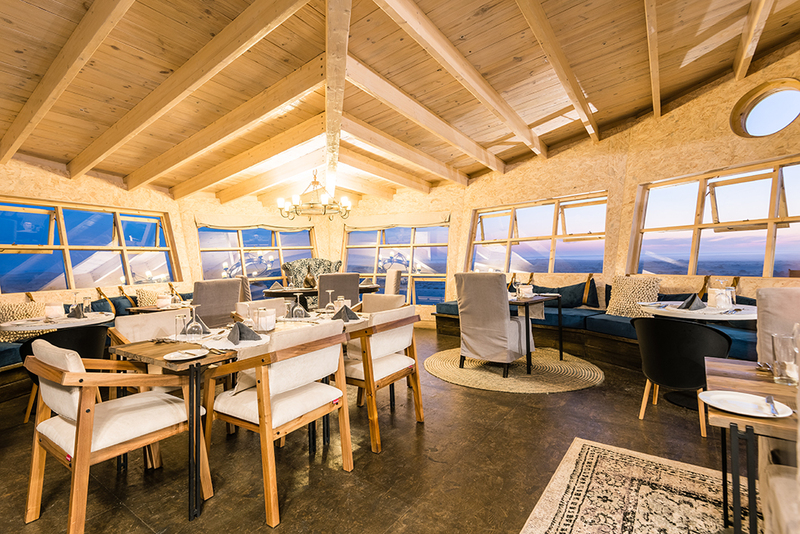 The lodge offers 8 twins/doubles and 2 family cabins, all ensuite and solar-powered. Each room has a shower, toilet and washbasin complimented with the necessary guest amenities, including a writing desk, bedside lamp and a wood burning stove. A small coffee and tea station with hot water flask (delivered to your room by our staff) are included for your convenience. Left: Guests Bedroom. Right: Shipwreck Lodge Dining Area. Top: Guests Bedroom. Bottom: Outside of Shipwrecks Lodge. Left: Shipwreck Lodge Main area. 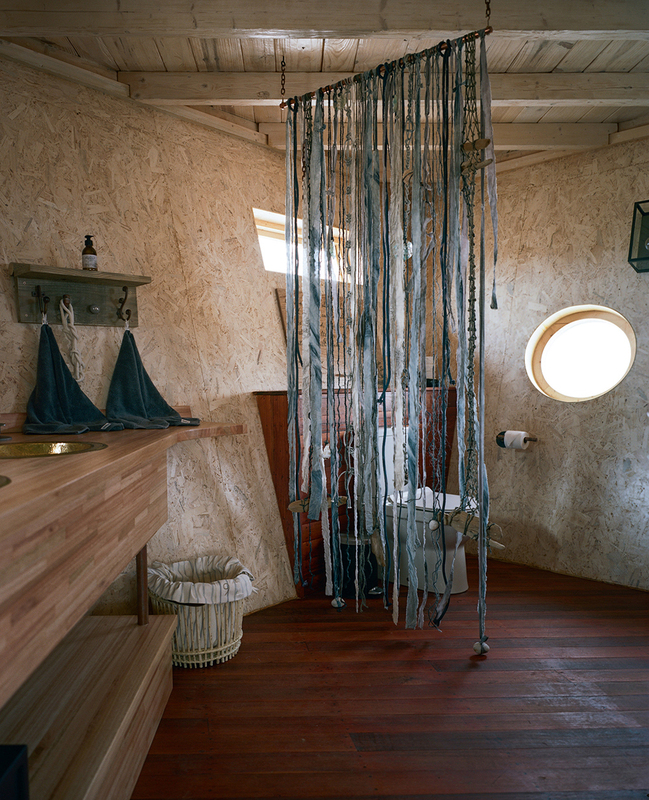 Right: Guests Bathroom.